RSpace Version 1.50 was released in April with new features requested by our users. The highly anticipated Document Tree feature allows users to see where they are in their document / folder / notebook hierarchy and makes it easy to jump between documents. You can also drag and drop items from the tree to the current document to instantly create traceable links to those items. Contact us. We’ll be happy to set up a webcast demo of this or any other features of RSpace ELN. Users who use Slack are already making good use of our built-in support for this communication app. We have extended this functionality by creating some simple “slash apps“. Learn more about these here. We would love to hear about other slash apps made or suggested by our “slackiest” power users! For additional details about other new features and improvements, consult the changelog. Don’t forget to visit our website, blog, and YouTube channel for more insights on upcoming features, usage tips and events. We streamlined the main edit toolbar and tucked away icons for some of the features you don’t use every day. You can still find those features in the dropdown menus. We also added new “Science Tools” and “Online Tools” dropdowns to make it easier for scientists to conveniently perform simple calculations and lookups many scientists use in their research. Let us know what sorts of other tools you would like to see in those dropdowns. Let me add that to my calendar…. 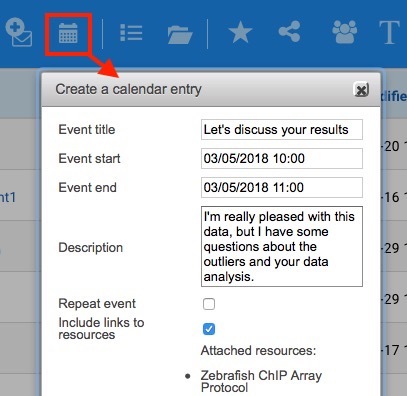 RSpace has included integration with your main system calendar for quite some time, but we have now made it easier to access that feature from the workspace with the new “Create Calendar Entry” icon, which creates downloadable .ics files linked to selected RSpace resources. What’s in that doc… ? As RSpace offers more and more ways to link things together, and as the amount of data in your system grows, it can be hard to remember which links point at which documents. To help jog your memory, we have added visual previews in the “info” windows for embedded links, so that you can see what the linked document looks like without leaving your current location. trigonometric functions: SIN, ASIN, etc. To create a new calculation table, click the icon in the RSpace editor tool bar. If you need help getting started, check out the documentation here. Enhanced lab data traceability features: See how and where data has been used throughout the history of your lab’s research program. Making your lab’s data traceable across different projects and between users is a key goal of our solution. 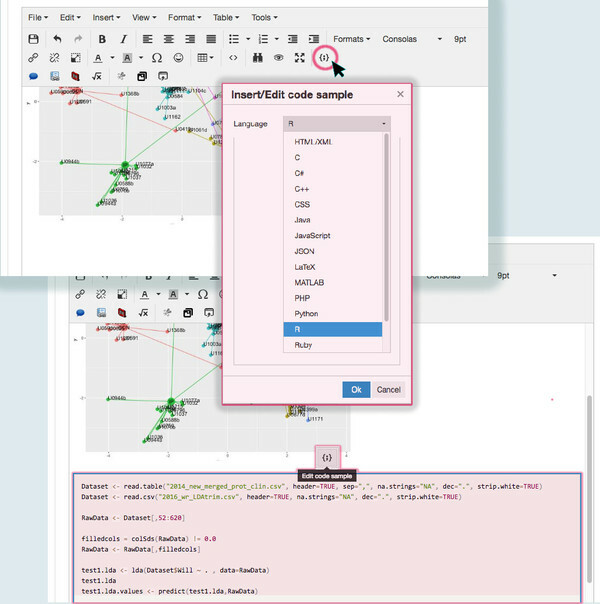 You can already enter RSpace IDs in the Workspace search tool to instantly locate specific resources, and you can use IDs as persistent links inside or outside RSpace to show the source of your data and conclusions, making RSpace the virtual hub of everything you do. In version 1.47 we have improved lab data traceability further by making it easy to see where specific data files have been used, and how notebook pages or resources have been cited by other pages or documents. This will help users follow paths that define research stories and better understand the sources and future uses of underlying data related to their hypotheses and conclusions. For additional details consult the changelog. 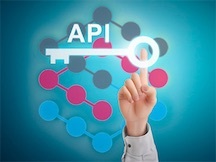 For details of what’s new in our API see the API changelog. Don’t forget to visit our website,blog, and YouTube channel for more insights on upcoming features, usage tips and events. RSpace Connects to MS Teams and Egnyte. Version 1.46 includes new integrations with popular online tools that will increase your productivity and simplify your workflows, especially if you already use MS Teams in your lab. Integration with Egnyte secure file sharing. This tool works just like our other connections to external sources of data. Enable Egnyte in the Apps tab by entering the address of your Egnyte account, then click the the Egnyte icon in the document edit tool bar. The icon looks like this: Egnyte is especially popular with labs and organizations that value comprehensive security features in their online file storage. Integration with MS Teams. MS Teams is a powerful tool for communication and coordination of your lab, and works great with Office 365. We are working on additional integrations with other MS online tools too, so stay tuned for more announcements soon. The use of MS teams in your lab is likely to grow as microsoft and its partners continue to add additional intelligent bots and data analyzers that can watch for specific data, channel information efficiently from source to destination more selectively and notify the right users of important events. For additional details consult the changelog. Don’t forget to visit our website and blog, and subscribe to our YouTube channel for additional insights on upcoming new features and events. Lastly, RSpace was selected as Labworm’s online research tool of the week, so if you are one of our users who gave us an upvote, we extend our most hearty “Thanks” to you! Additional upgrades to the RSpace API for easier ingestion of external data. With each new release, our modern API will sprout new abilities that will help your engineers connect RSpace to anything and everything in your lab. Need inspiration? Check out the RSpace ELN API page on github. Nifty. Quick export of tablular data. Click the download button on any table of values you have created in your RSpace documents to instantly download the table in .CSV format. Spiffy. Ability to change a lab’s PI – Great for sabbaticals, internal reorganizations, or when you need to assign a temporary PI to a group that’s working on a short term project. Handy. 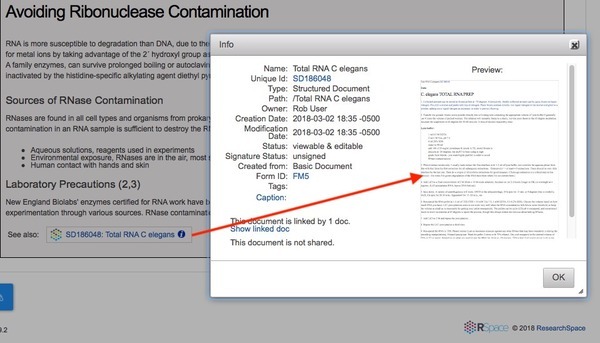 Instant listing of the RSpace documents your data appear in – Boost traceability and quickly see how data stored in your gallery have been used, where the data originally came from and how often it appears in the work of other lab members or collaborators. Downright dandy! For details of other new features and improvements in version 1.45, consult the changelog. Don’t forget to visit our website and blog, and subscribe to our YouTube channel for additional insights on upcoming new features and events. If the version number at the bottom left of your RSpace interface shows a version lower than 1.45, alert your system administrator that you need to update your server. Once again, thank you all for your support. We hope you will tell your colleagues to try RSpace, and we look forward to helping you and your collaborators achieve your scientific goals. What would you like to connect to your ELN? What data do you want to ingest, read, or write? How would you like incoming data from diverse sources to be represented and organized in RSpace? Send us an email or tell us your ideas using the built-in live chat. What’s New in RSpace 1.44? In response to customer input, sysadmins can now allow PI’s to choose ‘edit-all’ permission for all work created by anyone in their LabGroup. The ability for a PI to choose the option to edit all work in their lab can be turned on and off by the system admin for your server. This allows organizations to decide if they want to support this policy. New code snippet options are now available, too, with improved support for inserting formatted code snippets into the text editor, including JSON, R, SQL, LaTex, and MATLAB. This will make RSpace more broadly useful as a way for computer and data scientists or “casual coders” to show downstream audiences exactly what analyses they performed on their data or show critical code snippets they have used in their work. In version 1.43, we have added a number of useful new tools and improvements. 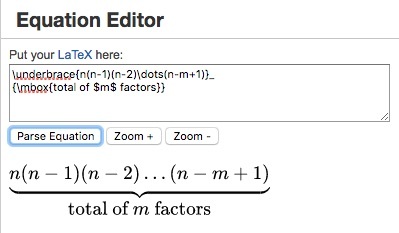 Our new LaTeX equation editor can be accessed from the RSpace text editor toolbar. The button icon is the mathematical expression for square root of x. Enter your LaTeX code, select “Parse Equation”, and your formula is added to your document. Latex is a popular tool for mathematicians and engineers who need a more sophisticated way to represent formulae and equations in digital documents. Addition of this tool helps to broaden the appeal of RSpace to a variety of disciplines at your institution. To ensure data integrity and IP protections both inside and outside RSpace we also added a new checksum authentication feature that lets you know for sure that your document has remained unchanged since it was electronically signed. This helps RSpace to protect your intellectual property and assures the scientific integrity of data both inside and outside of the system. We hope you will also enjoy the UI and search index improvements, tag auto-completion, API enhancements, among others. Consult our changelog for details and stay tuned for still more new user-driven features in the coming releases. The RSpace team is pretty good at connecting our solution to other software tools you already use, but it’s not possible for us to anticipate ALL of the many ways you might use the data you collect in RSpace. To help you connect RSpace to anything you like, we want to tell you about our flexible, modern ELN API (Application Program Interface). We believe our easy-to-use ELN API is the key to flexible and extensible integration with your overall data strategy and specialized workflows. 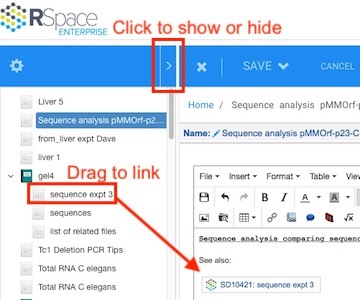 RSpace makes it easy for anyone in your lab with a little coding knowledge to invent great new ways to extend the functionality of the product, limited only by their own creativity. To get started, go to My RSpace > My Profile and click “Regenerate key”. Click on the ELN API documentation link, then click “Authorize” in the top right of the swagger page, and enter your new API key. Click “Documents”, “Files” or “Miscellaneous” at the bottom of the page to see full instructions and code examples for working with the ELN API. For more details, check our recent blog article. If you want to contribute your ideas to this project you might also look at the RSpace github page here. As always, if you have feedback or suggestions, don’t forget to click the RSpace help button at the bottom right of the RSpace interface! RSpace has been designed as a complete bench-to-publication data management solution. An important part of the RDM lifecycle is archiving lab data into suitable public or private repositories. In version 1.41, we have improved support for exporting your data directly to popular archives like Figshare, Dataverse and DSpace, and also added support for embedding metadata from your unique ORCID digital ID directly into those exports. 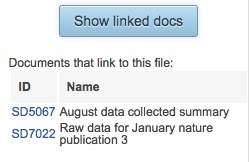 These additions make it easy to use RSpace to publish and cite raw data, and also archiving lab data to your “lifetime” academic career portfolio. You can even use ORCID links in the RSpace directory to help locate potential collaborators and dig deeper into their publication history. Archiving lab data using RSpace is simple and seamless and can be customized to connect to whatever archive you use, even those not yet on our list. Archiving lab data with RSpace also supports good security and data integrity thanks to our digitally signed (SHA protected) data export feature. What’s next? Lots of exciting things are in the works! For starters, we have released the first version of our highly anticipated API, but we will say more about that next time….